A suite of tools to analyze your data, accessible anywhere you are. Our computer vision algorithms track your subject's movement, providing XY position data, zone-based variables, ambulatory vs. resting time, latency, entries, and more. Output publication-quality visualizations, such as a subject's tracked activity path. Our flexible coding tools enable manual scoring of any video data and output variables like duration, latency, counts, and more. 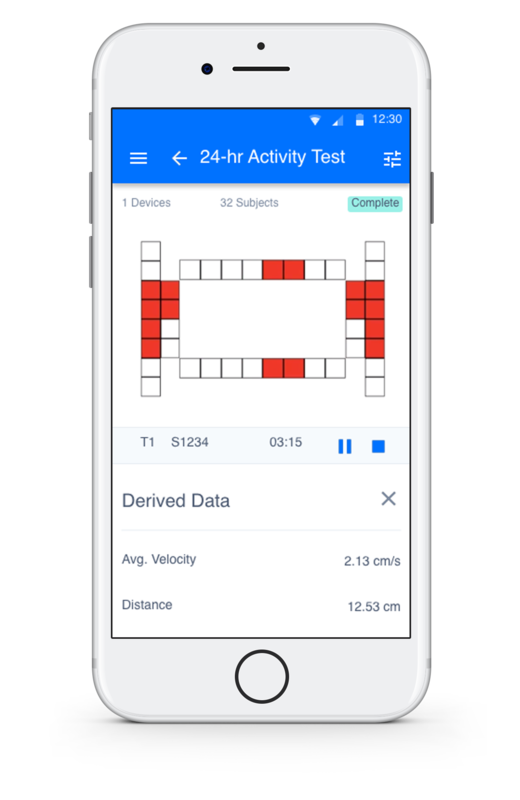 Our tools are mobile-friendly and work wherever you are - in the lab, in the field, or on your couch at home. Get XY position data, zoned activity variables, and more when you stream data directly from photobeam-based activity systems into BehaviorCloud. Our video tracking tools analyze activity patterns of rodents, fish, and insects in any maze or other enclosure. Great for studying locomotor activity, anxiety, or learning and memory. 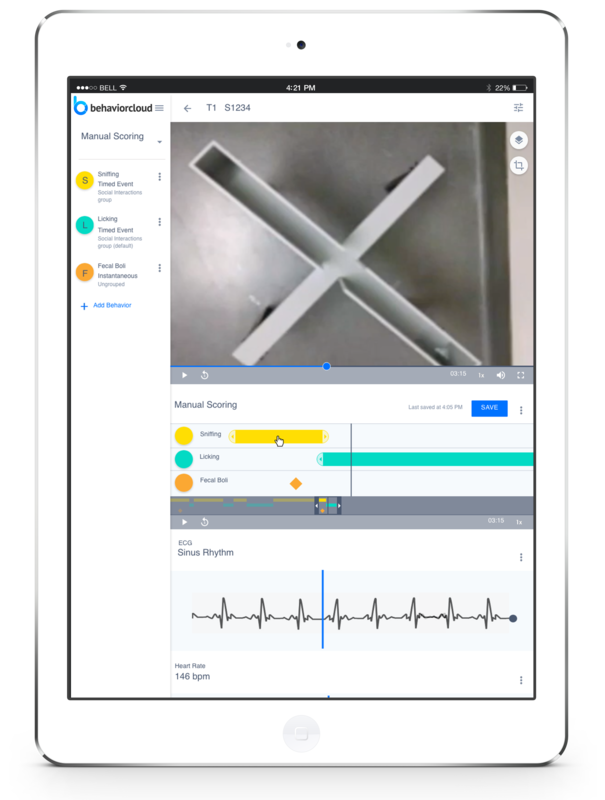 Our manual video scoring tools make it convenient to code complex behaviors anywhere. Great for analyzing complex animal behavior or human interaction studies. For researchers working in the field, our tools are easy to operate even on a mobile phone! For high volume or long-term activity studies, our photobeam system provides high-resolution activity data with minimal investigator intervention.